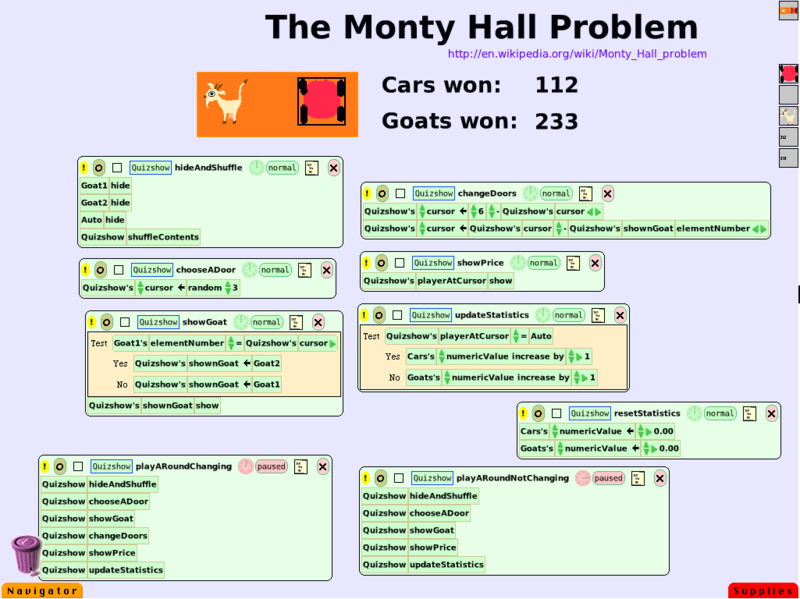 Over at www.developertesting.com, I wrote about the Monty Hall problem and how I was convinced of the answer by an unused variable in my Java simulation. Markus wrote a nice simulation in Squeak (dunno what it will do if you don’t have squeak installed but it makes a good excuse for you to go get it). Pingback: Julio Santos » Blog Archive » What constitutes a good science project for kids? Previous Previous post: A War for Oil ?